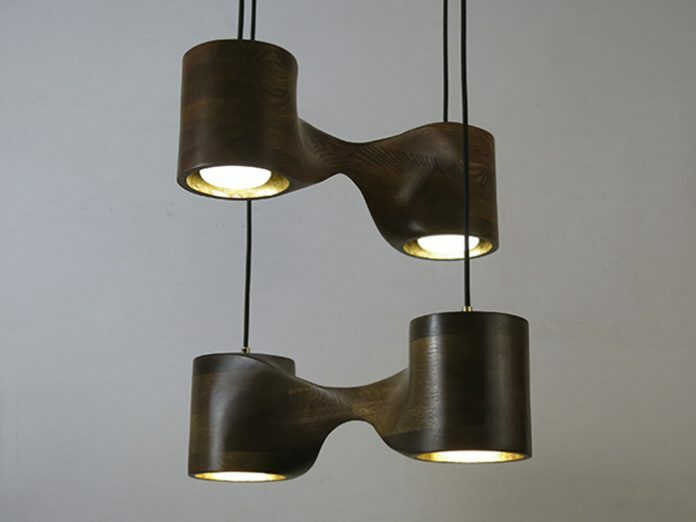 The N3 Chandelier is a rotationally-symmetrical, hand-sculpted pendant lamp. With a solid wood body, four lamps lie behind acrylic diffusers; suspended via lamp wires from a three-armed canopy and mounted directly to a junction box. The N3 Chandelier is available in bleached cherry, black walnut and bleached walnut.